Reach out at the speech bubble below to talk about what you want to see. 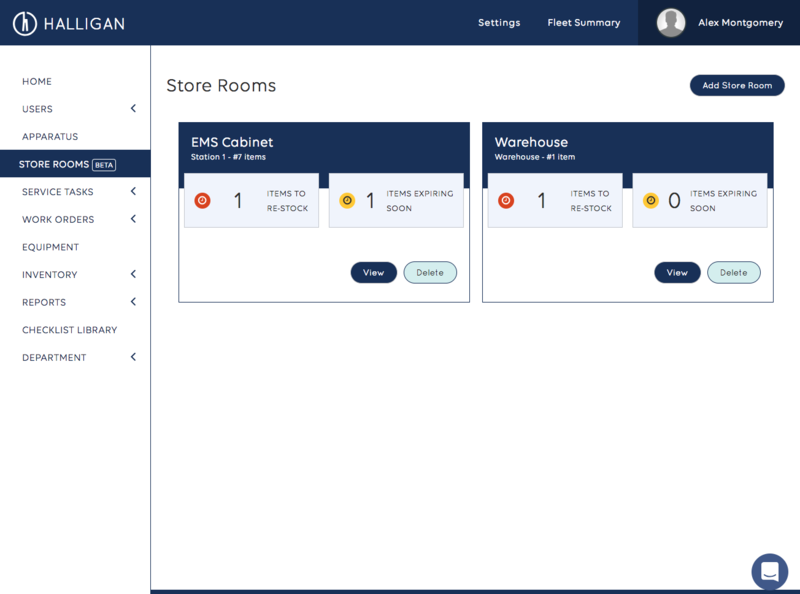 Simply through doing recurring checks and re-stocking your store room, Halligan will tell you which store rooms need attention. The Store Room listing page will summarize what needs attention in the store room. After clicking into a store room you can see exactly what inventory is expiring or needs re-stock. To create a store room click 'Add Store Room' at the top right of the Store Room Page. You can Re-Stock items in a Store Room by clicking the 'Re-Stock Items' link. 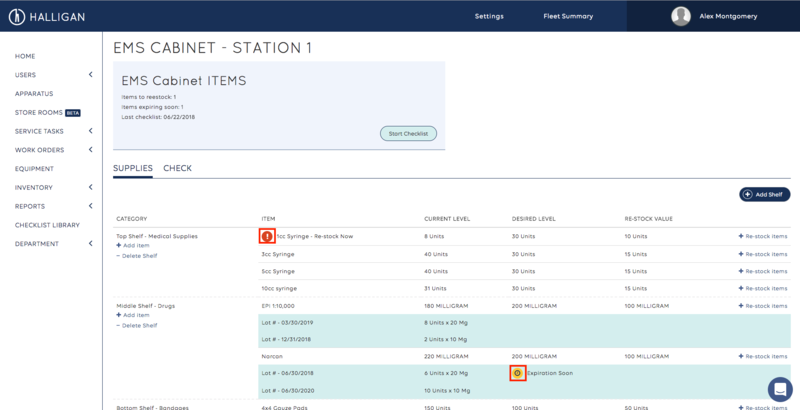 You can add a Vendor, track cost and set information about the quantity and expiration and lot if pertinent to that inventory item.